About: Pense Brothers Drilling Company, Inc. - Pense Bros. Drilling Co.
Pense Brothers Drilling Company was formed by Clifford and Ronald Pense in Fredericktown, Missouri. The company first started drilling in the lead and zinc fields of southeast Missouri. Pense Brothers Drilling Company expanded its operations to include exploration drilling in the oil and gas fields of the Arkoma Basin in Oklahoma and Arkansas. 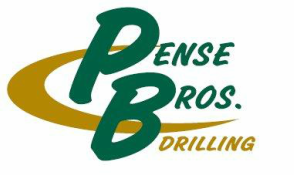 During this time, Pense Brothers was one of the first drilling companies to combine air hammers and top head drive rotary rigs in the exploration for oil and gas. This method of drilling allowed for more efficient and more cost effective drilling. Pense Brothers Drilling Company moved into the coal bed methane gas (natural gas) development of The Black Warrior Basin in Alabama. Pense Brothers Drilling Company operations expanded to drilling for coal bed methane gas in the Uinta Basin of Utah. Operations expanded to the Raton Basin of Colorado and New Mexico. Pense Brothers Drilling Company drills its first well in Alaska. Pense Brothers begins drilling in the Fayetteville Shale play. The “mixed fleet” approach to drilling begins. The mixed fleet approach involves a Pense Brothers rig, known as a “spudder rig”, to move on first and drill multiple shallow wells. Then a larger rig follows behind to drill the directional segments of the well. This approach allows maximum efficiency and significant savings creating new opportunities for natural gas exploration. The company begins using its expertise to drill water wells in California.